(08-23-2018, 03:13 AM)Grawlix Wrote: Sooooo is Tyrannosaurus Rex the largest Theropod currently? When comparing the largest reliable specimens. Even the more average specimens tend to outweigh the animals above. 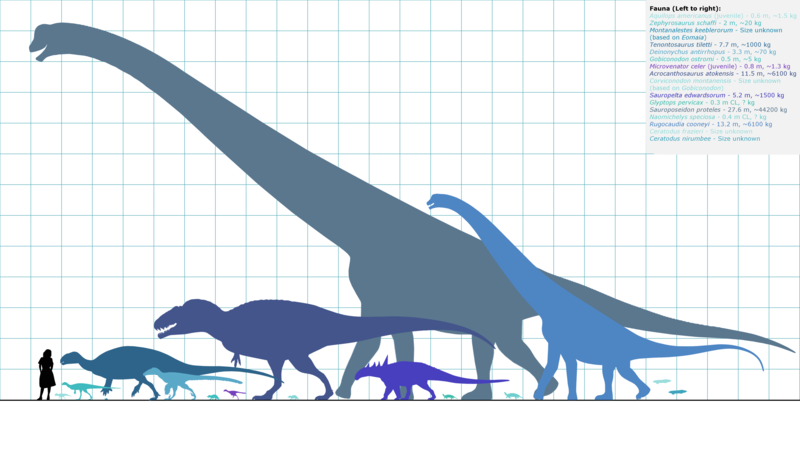 There are estimates that Giga could get up to 8200kg, but those are based upon a dentary fragment, and those dont scale isometrically with the rest of the animal. If we took that into consideration, we might as well also consider UCMP as valid as well. It should be noted that this information IS subject to change as more discoveries are made. 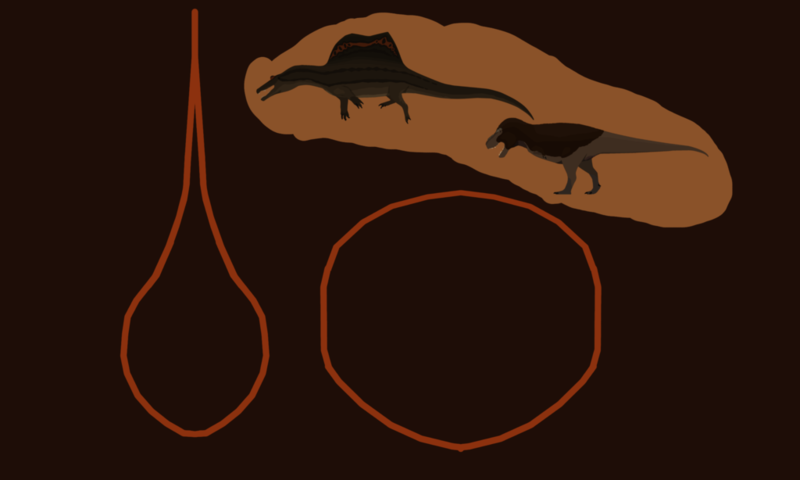 The actual model for the Spinosaurus shouldn't be considered accurate, as its legs are too small, but the size of the legs should be independant of the girth of the body. Please correct me if I'm wrong about that. Whipped up a comparison between the two. It should be noted that Dilophosaurus was an exceptionally gracile animal, and I doubt the weight difference between the two varies much between extremely small and negligible. That being said, Dakotaraptor offers a particular challenge when placed in comparison with other animals- whoever posed it for various skeletals needs to be taken around back and shot. I mean honestly, what the hell is this?. Because of this odd running pose, it looks Dakotaraptor has an extreme height advantage in the comparison. This is not the case. In life the animal probably was only slightly taller due to its more cursorial legs. It should also be noted that this is the Dakotaraptor model that is currently accepted. In reality, if you look at link I just made fun of, we really don't have much of the animal. Just an arm, some leg, and vertebrae. We honestly have no idea what its skull looks like. (10-18-2018, 02:37 AM)Maxilla Wrote: Here's a bird's eye comparison between Sue and a fifteen meter Spinosaurus/Sigilmassasaurus, since AmurTiger's Rex has some very odd proportions and the images arent to scale with one another. This guy butchers theropod feet so the animals look taller, frankensteins up skeletals by copypasting already existing images, and pretty much clickbaits his way into relevance by doing things like this. Does anyone here know what he means by butchering the feet? Does anyone else here have the same issues with Franoys work as this guy? (04-05-2019, 09:35 PM)Jurassicdangerousdinosaur Wrote: Does anyone here know what he means by butchering the feet? 'Butchering' means 'faking' and 'making up' and 'sewing unrelated things together'. I think he meant @Franoys made up/copy&paste his reconstructions from other sources. Yeah sounds like a troll or just really seems to dislike Franoys work for no good reason. Also, really noobish question but I have tried for a while now can anyone tell me how to post the image on here ? Instead of me just posting a link to another website that would be a huge help.